Hotel Mankoen is a Japanese-style Inn in Yunohama Hot Spring, Tsuruoka City, Yamagata Prefecture. Located on a hill in the coast, the hotel commands the magnificent view, especially the sun set over the Japan Sea. Fully equipped with large public bath and specious open-air bath (open for 24 hours). 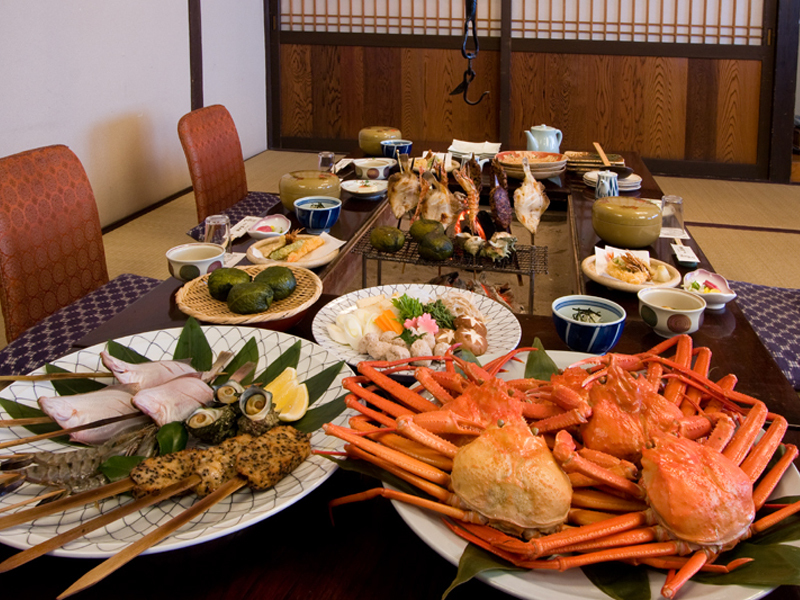 At dinner, sit around the Japanese traditional fireplace and enjoy piping hot dishes of fresh seafood and vegetables of Shonai, City of Food, grilled with charcoal. Take a look of Japanese traditional mochi pounding during breakfast. Guests may participate in the mochi pounding, and a souvenir picture is given. The picture will be posted on the Facebook if the guest wishes. Enjoy tasting freshly pounded mochi with 13 kinds of traditional flavors such as zoni soup and roasted soy flour.